Fluoride is an important aspect for increasing the health of your teeth. Our dentist can help strengthen your teeth and stay strong fluoride. How does fluoride strengthen my teeth? Fluoride helps your teeth by adding minerals to them. When we eat foods that contain sugar, the hard outer enamel layer of our teeth will start to demineralize, this weakens our teeth. With fluoride, we can help prevent this demineralization while also remineralizing them, which provides additional strength to your enamel. With recent concerns about having too much fluoride, we want to make it clear that there is a right amount of fluoride that a patient should have, too much or too little can cause problems. The key is to have the right amount of fluoride so that we can build up your enamel, and assist your teeth in preventing cavities. Fluoride is an approved preventive measure supported by the American Dental Association. Along with the ADA, our offices encourages our patients to provide added strength to their teeth with an appropriate amount of fluoride. In the 1930's, dentists were able to demonstrate a strong relationship between cavities and the amount of fluoride that people consumed. Because of this study, many public officials began adding fluoride to the local drinking water and with this addition, the overall dental health of the public showed considerable improvement. The results of this study has been repeated again and again, continually demonstrating the benefit that fluoride has for our teeth. 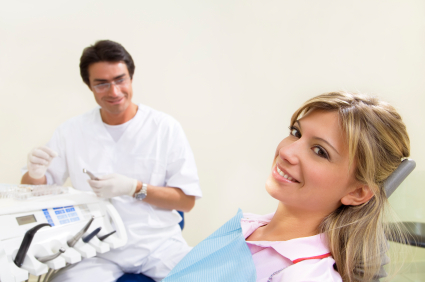 Once our dentist has discussed a fluoride treatment with you, it is a quick and painless process. The treatment involves a strong concentration of fluoride that is administered as a rinse that is gargled and then spit out while sitting in the dentist chair. This treatment is done under the control of the dentist. Please contact us if you have any questions about fluoride treatments.